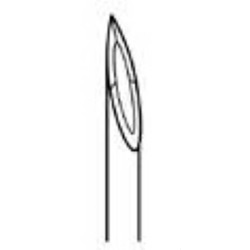 Reusable Yale hypodermic nonsterile needle without safety, 13 gauge 2 inch. Comes in a box of 12. Manufactured by BD. Stainless steel needle, short bevel and standard luer connection.